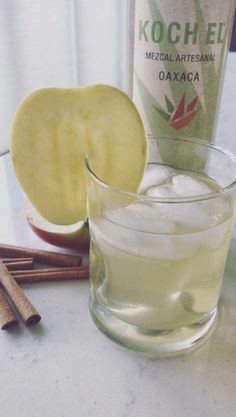 If you’ve been following along on our Instagram stories, you might have noticed that due to a suspected Cows Milk Protein Allergy, I (MacKenzie) have been following a dairy and soy free diet for my son, Weston. I knew this diet was going to be difficult because a) I am an absolute dairy MONSTER, and b) because a lot of dairy substitutes contain soy or are gross. BUT what I didn’t realize was that the real reason it would be do difficult is because a lot of foods that you wouldn’t suspect contain dairy and soy, contain dairy and/or soy. More on my diary and soy free diet struggles and what I’ve done about them to come in another blog post SOON! For now, one of my super easy diary and soy free recipes that has been an absolute Savior these past few weeks as I adjust to this new diet: Vegan Peanut Butter Cups. While on a grocery shopping trip a few weeks ago, I walked passed the supermarkets slightly pre-mature Halloween candy display and sadly thought about all of the Halloween treats I’d be missing out on. Then I remembered a followers comment she made about making her own peanut butter cups and I thought, maybe I don’t have to. 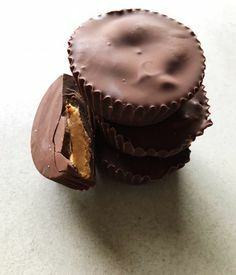 A quick Pinterest search revealed thousands of homemade peanut butter cups recipes and I happened across one that suited my needs. 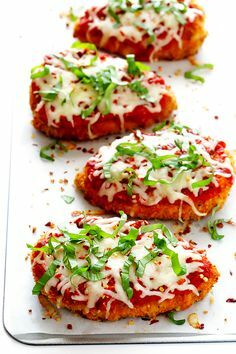 That night, I whipped these up while my husband was at hockey and I was at home, alone, with the dog and Baby. Thats how easy these are. 15 minutes, 2 bowls, 1 pot, 1 muffin tin and 5 ingredients. In fact, I’d almost go so far as to say they’re too easy and too good. Our fridge hasn’t been without them since I first made them 2 weeks ago. You can easily un-veganise these by using milk chocolate, and any peanut or other nut butter would be a fine substitute for all natural peanut butter. 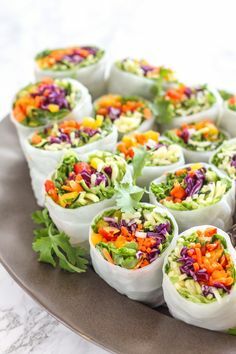 Line a muffin tin with muffin wrappers, or simply place muffin wrappers on a plate. Combine vanilla, peanut butter and salt in small mixing bowl. 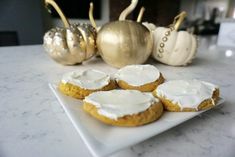 Add 3 tablespoons of icing sugar to peanut butter mixture and test consistency- it should almost feel like cookie dough, should be tacky but not stick to your fingers. If mixture is too soft, add another tablespoon of icing sugar. For those not using natural peanut butter, you may want to start with even LESS icing sugar. Because natural peanut butter is less sweet, and much oilier in texture it relies on the icing sugar for sweetness and as a binding agent. 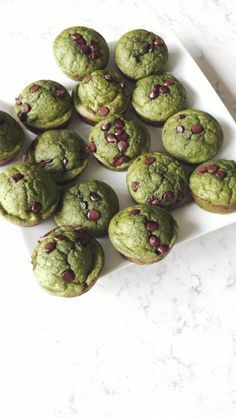 Form mixture into “patties” (Enjoy Life chocolate chips come in packages of 255g and will yield 10 peanut butter cups, while Cuisine Camino will yield about 8), that are slightly smaller than the muffin wrapper, so they will be surrounded by chocolate. You can skip this step and just simply drop the peanut butter mixture onto the chocolate in step 7 if you are not Type A and do not need perfect peanut butter cups! In a double boiler (or a glass bowl on top of a pot if you’re like me and don’t have a real double boiler), melt the chocolate chips, and stir often. A double boiler is recommended for this because You REALLY don’t want to burn the chocolate and waste it. ESPECIALLY the vegan chocolate chips which are NOT cheap. Spoon about one tablespoon of melted chocolate into muffin wrappers and spread to cover the bottoms. Spoon chocolate over top of peanut butter patties and spread to cover. Pop muffin tray or plate into the freezer or fridge to help them set quickly. The faster they set, the sooner you can eat them! !